Hidden Valley Backhoe & Trucking, Inc. provides comprehensive excavating and grading services in San Diego County. We're a fully licensed and insured general engineering contractor with thousands of satisfied clients. Everyone on our team has at least 15 years of experience in excavating, rough grading, finish grading, and grade checking, and is completely dedicated to customer satisfaction. Because we care about our customers, we're committed to delivering quality work on time and at a fair price. 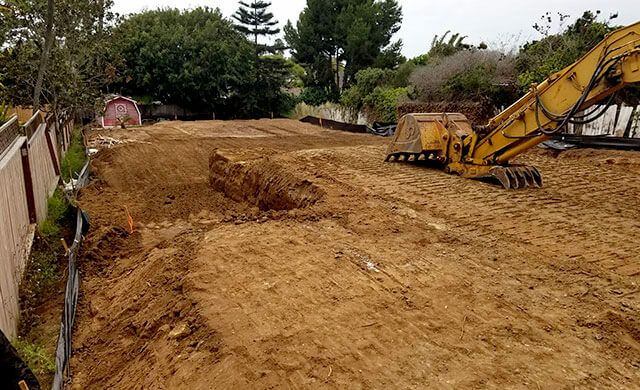 At Hidden Valley, we welcome a wide range of excavation and grading projects, from adjusting a slope in a backyard for improved drainage to leveling a site for new construction. 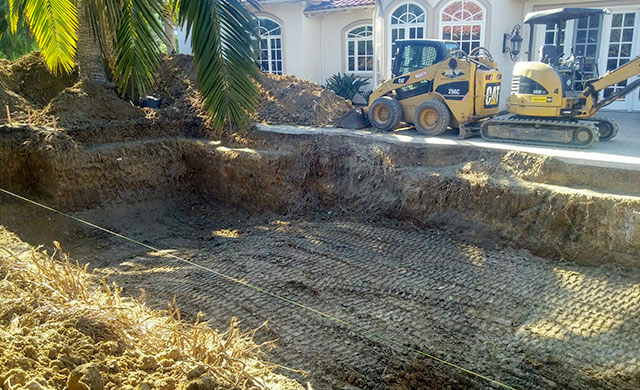 As a full-service excavating contractor in San Diego, we can demolish buildings (up to three stories high) and buried structures (such as septic tanks, pipes, and underground parking lots), clear the land, dig and move earth, import or export fill dirt, and compact the soil in preparation for the next phase of construction for clients nearly anywhere in the Southern California region. With our exceptional grading and excavating skills and attention to detail, you can be confident that we'll be able to successfully change the topography of your land to match your engineering plans. All work is done to code and backed by a written warranty. If you need an experienced excavator and grader in San Diego County, call Hidden Valley Backhoe & Trucking, Inc. today. One of the many reasons that residential, commercial, and industrial customers choose to work with us is because we're able to provide a broad range of services to help construction-related projects get done in less time and at a reduced cost. 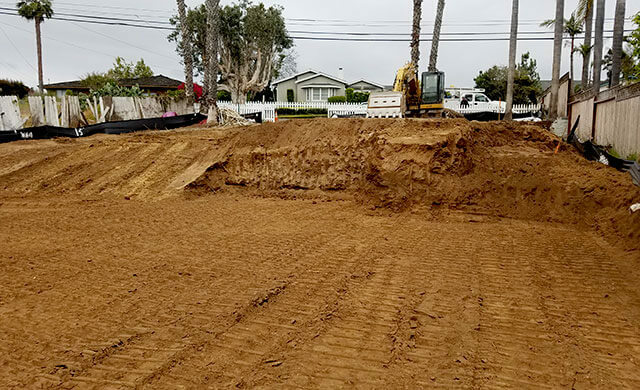 In addition to demolition, excavation, grading, and soil compaction, we're also qualified to dig trenches and lay pipe for underground utilities, backfill trenches, and perform asphalt paving and concrete work. Call today for a free on-site consultation.